Whole Foods Market – Mobile App Development | ASTRALCOM - Content Strategy, Conversion Marketing and Customer Acquisition. Whole Foods Market – Mobile App Development | ASTRALCOM – Content Strategy, Conversion Marketing and Customer Acquisition. 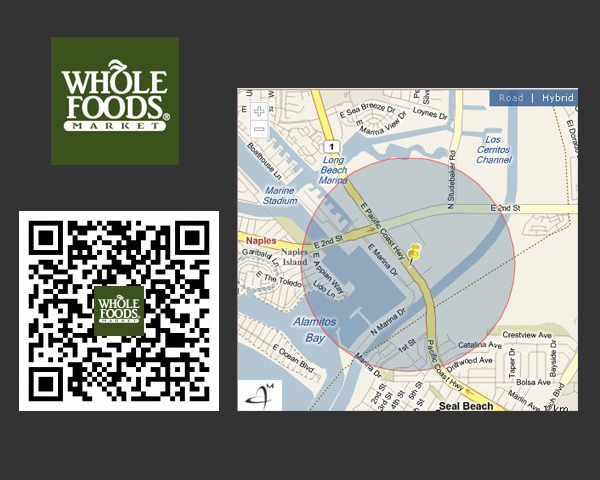 Using QR codes and a geofence-enabled proximity app for mobile devices, we created an incentive scenario for loyal Whole Foods customers. Shoppers would scan the QR Code to download a geofence-enabled proximity app. 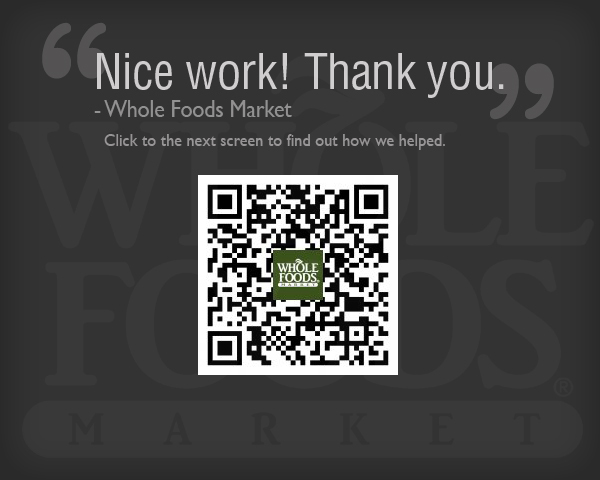 This app would send shoppers unique incentives and messages, when they were near the Whole Foods store. Messages like strawberries on sale, or fresh seafood specials. Promos that were only available through this channel. Whole Foods was able to increase their per-basket checkout amounts and their customers were happy to cash-in on great promos and offers. Healthy and wholesome customer relationship management. Contact us today to start a customer rewards or loyalty program like this for your business.